The second versions of "Pokémon Black" and "Pokémon White" finally were released in the United States this week, months after the games were launched in Japan. This latest Pokémon game was not designed for Nintendo's 2011 3DS system, but instead for Nintendo's top-selling 2004 DS, so don't expect major graphic upgrades in the world of Pokémon, or a sharp third-dimensional world. What you can expect is days and days worth of addictive monster collecting, item-swapping and foe-battling as you make your way through a huge, colorful world. It has been a long time since I've last picked up a Pokémon title, probably since the '90s when I completed "Pokémon Red." I was a bit afraid that I would be tackling an entirely new beast, a game that had evolved into something entirely new, but instead found the entire experience to be almost exactly the same, right down to pixelated characters and slow-moving conversations. For my experience, I chose to play "Pokémon Black Version 2." You play the role of a young Pokémon enthusiast in a world consisting solely of other Pokémon enthusiasts, scouring undeveloped areas for wild creatures that you can capture to fight by your side. Once you've gathered a team of Pokémon, the goal is to travel from town to town, sending them into battle until they become strong enough to challenge each city's gym leader to a match. If you can defeat each city's local celebrity, as well as some lowlife criminals along the way, you'll eventually battle for the title of Pokémon champion, the best there ever was. These are basically the same staples of gameplay that have defined the Pokémon series since first game was released about 15 years ago, only with far more side quests, opportunities to play with your friends online and varieties of Pokémon to build your team with. The game can quickly become advanced as players gather a huge list of potions and special abilities with which to modify their Pokémon. Although this Nintendo DS game will play on a 3DS, I still would have preferred a proper 3DS release. There are some elements that would have looked fantastic with an added dimension, and Pokémon fans have been holding out for the home console quality experience Nintendo has proved that the 3DS can provide. The game's developers realized this and have made DLC available for purchase that will use 3DS capabilities to capture and identify new Pokémon by way of augmented reality. The additions are neat bells and whistles, for sure, but they are non-integral parts of the game's story-line and therefore feel extraneous. "Pokémon Black Version 2? and "Pokémon White Version 2? are the first Pokemon games to act as direct sequels to previous releases. 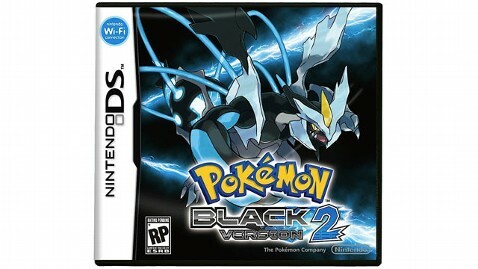 The games allow you to catch up with cities and characters from the original Pokémon Black and White, while offering a new storyline and expanded areas. I cannot speak for the difference between version 1 and version 2 of these games, but I can say that not having played the first versions was never an issue. I rarely found myself having trouble understanding the game's plot. "Pokémon Black Version 2? offers a big world, hours of addictive gameplay and a simple style. The game is available now for the Nintendo DS and 3DS (in 2-D) for $34.99.